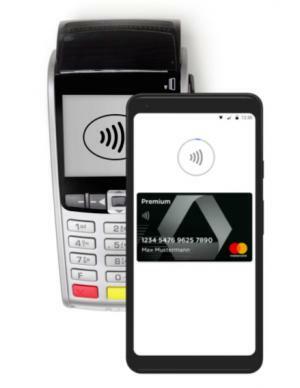 Google Launches First Major Pays Wallet in Germany, but Growth Prospects Appear Dim | NFC Times – Near Field Communication and all contactless technology. Google Pay is the first major Pays wallet to break into the German market. But the mobile payments service is expected to have a tough time among cash-toting, privacy-loving German consumers. Commerzbank is the only major German issuer participating in the launch of Google Pay. Wirecard Sees Insuring In-Store Purchases as ‘Innovative’ Feature for Boon Payments App, but Will It Help App Stand Out in the Crowd? NFC TIMES Exclusive Insight – Google Pay launched today in Germany, making Google the first of the major backers of a Pays mobile wallet to launch service in the country. Yet, prospects for Google and any of the other international Pays that decide to launch in Europe’s largest economy are not promising. German consumers have among the lowest rates of card usage in Europe, reportedly making 80% of in-store purchases with cash. They also highly value data privacy, which will hurt Google in particular because of the search giant’s reputation for collecting and commercializing user data. In addition, banks in Germany, as in several other European markets, are deeply suspicious that the tech giants promoting the Pays wallets, such as Google and Apple, are ultimately after the banks’ payments business. Google managed to sign up only one major German issuer for its Google Pay launch, Commerzbank, the country’s second largest bank after Deutsche Bank. The other three issuers participating in the launch in Germany are small: Commerzbank-owned online bank Comdirect, Germany-based mobile bank N26 and payments services provider and processor Wirecard, also based in Germany. Article has about 1100 words.